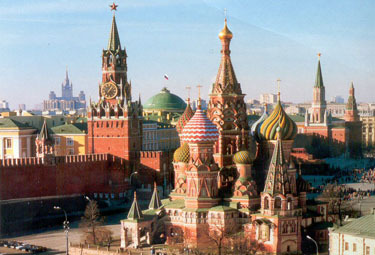 Moscow is the capital of Russia, the country’s largest city, and its major political, industrial and cultural center. The first tribes appeared on the territory of the future Moscow in the Neolithic epoch. The earliest reference to Moscow, as to a town, is found in an old manuscript of 1147. In the end of 15th century, during Ivan III's reign, Moscow becomes the capital of Russia. 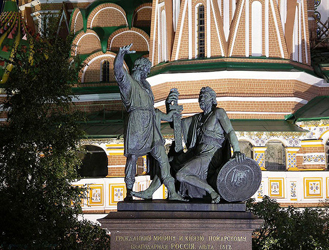 Moscow's Kremlin, which was built in the beginning of the 15 century, is an icon of that epoch. During the French invasion Napoleon said: "If I capture Kiev, I'll take Russia by its feet, if I capture Petersburg, I'll take it by its head and if I capture Moscow, I'll destroy its heart". Today Moscow is one of the world biggest megapolis and the largest city in Europe. Its population is about 10 million people. 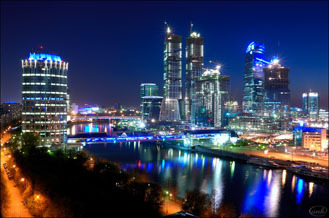 Over 6,800 representative offices of foreign companies are registered in Moscow. 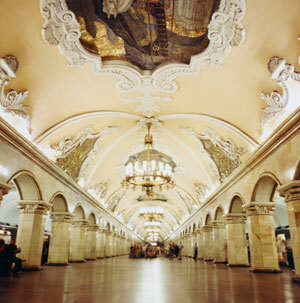 Around 300 international exhibitions and fairs are held in the capital each year. More than 4m tourists visit Moscow every year, with most of the visitors arriving from Germany, the United States, and China, as well as Great Britain, France, Turkey, Italy, Israel, Japan, and Spain. Local time: Greenwich Mean Time plus 3, the summer time (+1) is active in Moscow from March to October. Population: about 10 million people, tourists and other city guests are not included. Climate: moderate. The average temperature in July and August is (20 — 25) °C; in December and January is (-10 — -20 )°C. The humidity is moderate and, sometimes, high. Moscow's winters are, as a rule, cold and snowy. Officially, Moscow's Ring Road (MKAD), 109 km in length, is considered the border of the Russian capital. However, new city districts (Mitino, Butovo, etc.) emerge beyond the Ring Road. 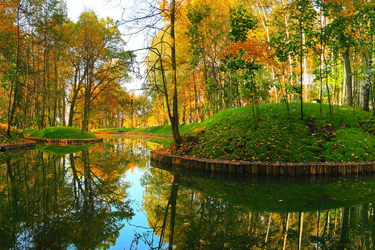 There are over 10 rivers in Moscow and the Moscow Region. The Moskva-River is the biggest one. The relief of Moscow's territory is a rather complicated one. 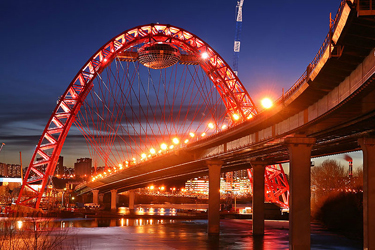 The highest points of Moscow's territory are there at the South-West, 250 meters above the sea level and 130 meters above the Moskva-River. Moscow is segmented into 10 administration districts. The names of districts comply with their location: Central, West, North-West, etc. The districts are then segmented into city regions, of which there are 128 of them in Moscow. Moscow's City Duma is the main legislative body. The executive power is exercised by the Moscow's Mayor, the prefects and the sub-prefects. The municipal authorities are elected by the citizens of Moscow (vote by secret ballot). The money denomination is roubles, but Russians think in US dollars or euros so don't be surprised if you are quoted prices in other currencies.